One of my clients came to me desperate to know why he was not getting interviews. His job search was stalling and he did not know why. He was highly qualified and he had bags of relevant experience in his field, so why were recruiters passing him over? A quick look at his resume gave a clue: the keywords used by his industry to describe who he was and what he did were missing. People search for keywords so they can quickly understand whether what they are reading is relevant to them. We have used them ever since we began to use symbols to communicate, but with the growth of the internet keywords have become one way to get your content to rank higher in search results. Businesses use keywords in their website content, each keyword or keyword phrase is a topic. These keyword topics help visitors understand how to navigate the website and understand the topic. Keywords within websites also help search engines understand and index the content. Many businesses use software tools to find the best keywords, and analyse their performance to fine tune their content and ensure more visitors to their website. Why do you need to use keywords in your job search? Keywords are important to you too. However you present your resume, whether in an online application or in hard copy, the recruiter will scan for the words relevant to the job advertised. If you apply online that may be the only way your application is considered worthy of deeper inspection. Even if you apply directly to the recruiter with a hard copy CV (my preferred option) recruiters scan each CV for a few seconds before moving on to the next. 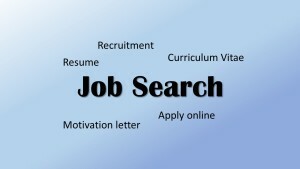 How do you find out which keywords you should use in your job search? Coming back to my client; he was not a business and he didn’t have software on hand to tell him which keywords to use so he was still desperate. We sat down together and took the following three steps. Made a list of the companies he would enjoy working for and thought about the type of role he wanted to perform there. Read all the company documentation online and offline about that role and the language that was used. Collected keywords which matched his career profile. When do you use keywords in your job search? There are several ways to use keywords and keyword phrases. The first, as my client did, is to adjust your CV or resume to match the language used on the job description. The second is to revise your online presence: your LinkedIn profile and your job board profiles: so visitors understand who you are and how you will fit into their organisation. Start to see past the generic job title you were given at your last job and make it more specific to the role you played in the organization. So if your job search is stalling take the steps my client made. You have nothing to lose and I would love to hear about your experiences.